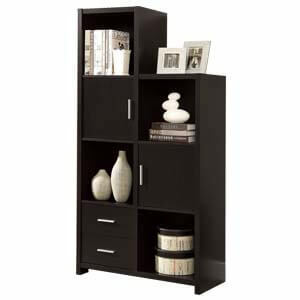 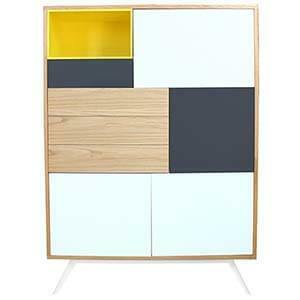 A fresh and modern take on tall storage cabinets that gives your home a quick update. 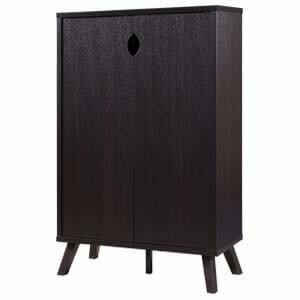 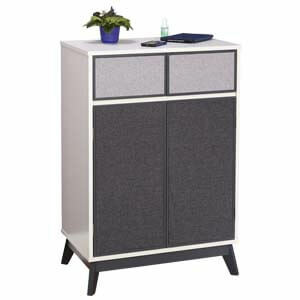 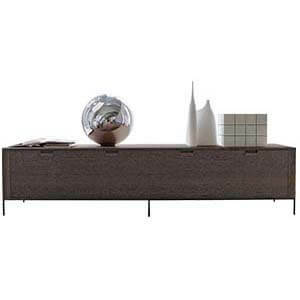 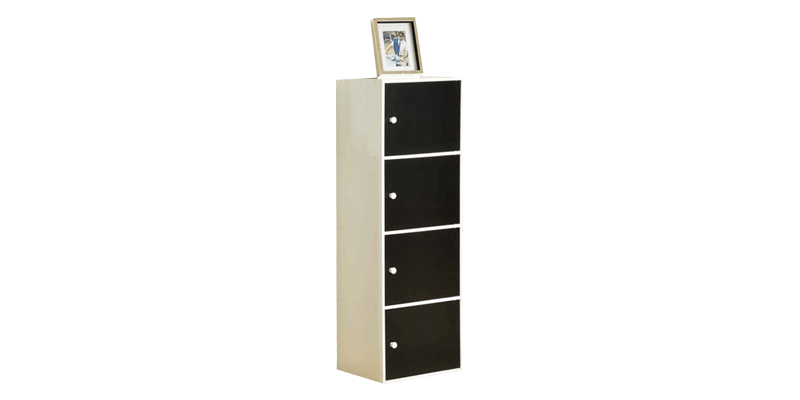 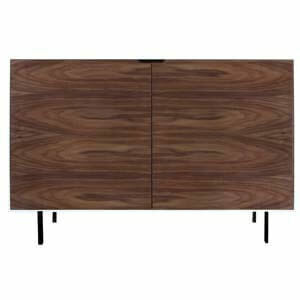 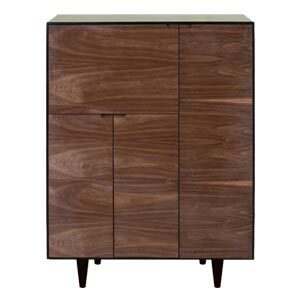 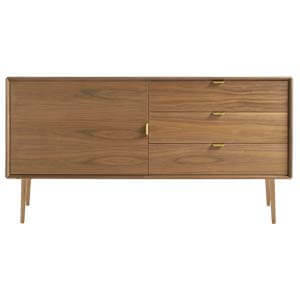 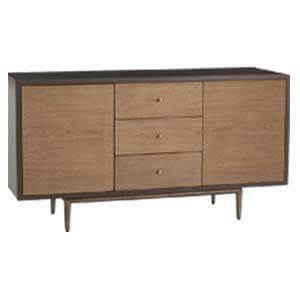 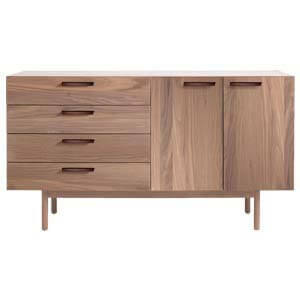 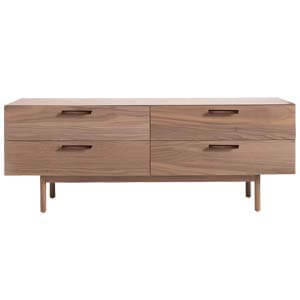 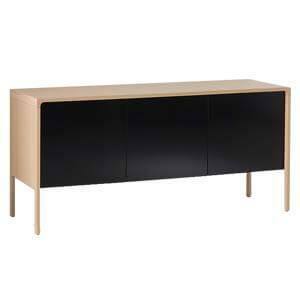 Its Mid-century modern inspired structure includes a rectangular box frame with rounded wooden legs. 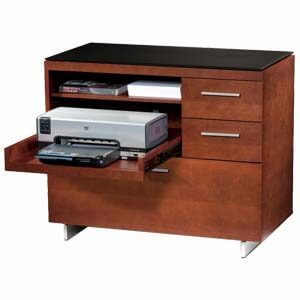 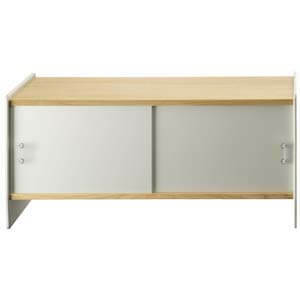 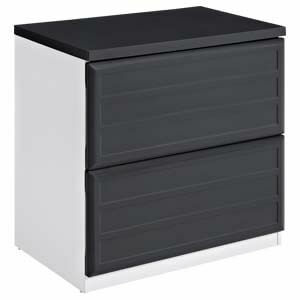 Spacious drawers placed at center and side storage units with shelves further boosts its functionality.